The TDA Foundation has been an integral part of our intrepid little company ever since we began organizing Epic cycling tours in 2003. 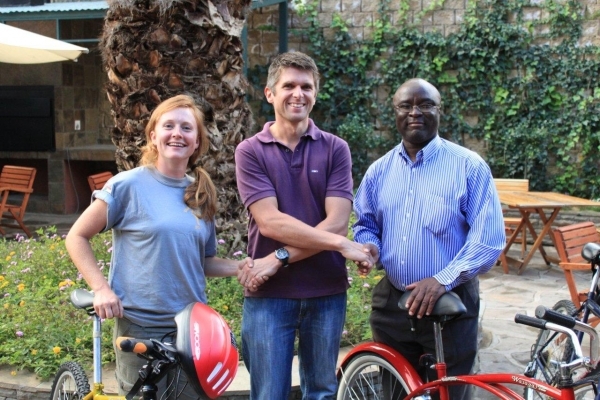 The Foundation was created with three principal objectives: To give something back to the people and the communities in the countries our tours pass through, to offset our carbon footprint, and, to raise consciousness about bicycles as an alternative means of transport that is both environmentally sustainable and fosters a healthy lifestyle. 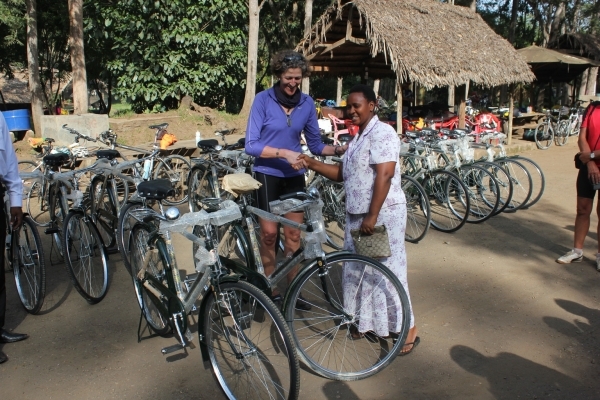 To deliver on these commitments the Foundation has focused on three areas: donating bicycles to worthy individuals and grassroots organizations in Africa, supporting projects that protect the environment, and undertaking cycling advocacy, both locally around our base in Toronto, Canada, and around the world via our blogs and videos. We believe that the positive impact has been substantial. 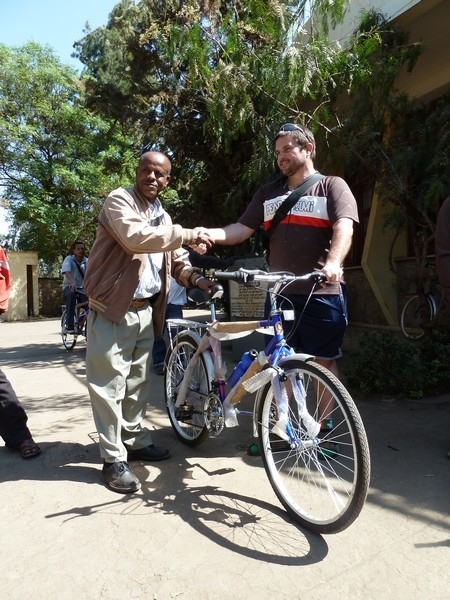 Over the past 15 years, the Foundation has contributed more than 2,300 bicycles to more than 70 grassroots organizations and communities in 8 African countries and India. The beneficiaries read like a who’s who of the “salt of the earth,” and include grassroots women’s and community development groups, orphans, school kids and teachers, hospital and health centre workers, bike repair shops in urban slums, local cycling clubs, a bicycle ambulance manufacturer, and international humanitarian NGOs. 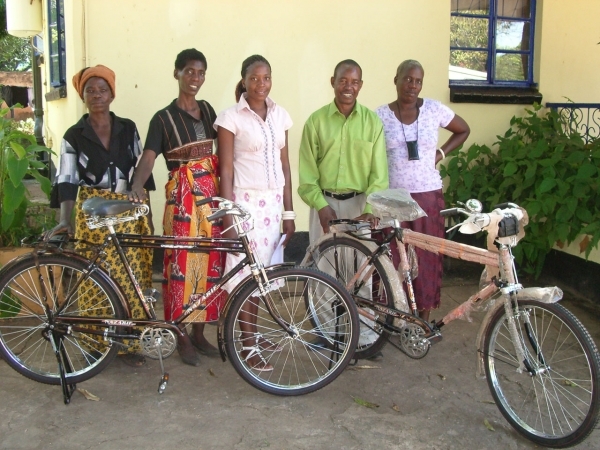 Perhaps one of the Foundation’s most significant achievements was in becoming the first not-for-profit to donate bikes that reduce the time it takes community healthcare workers to reach and provide compassionate support to impoverished HIV/AIDS affected families in remote villages. Our model has been a collective effort between our parent company, TDA Global Cycling, and our tour participants. 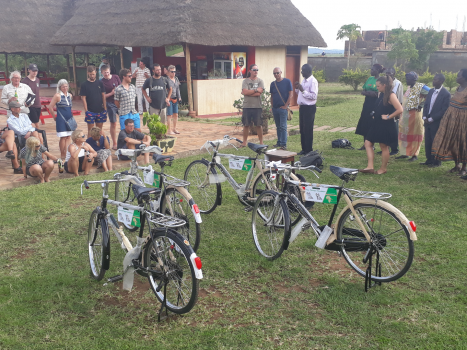 Every year TDA contributes 1 bicycle for every full tour rider on the Tour d’Afrique, and, with our in-country local partners, organizes donation ceremonies along the tour route. In turn, many of our clients have been inspired to raise funds for these donations, which they then get to witness first hand, including several riders who have contributed $1000 or more. 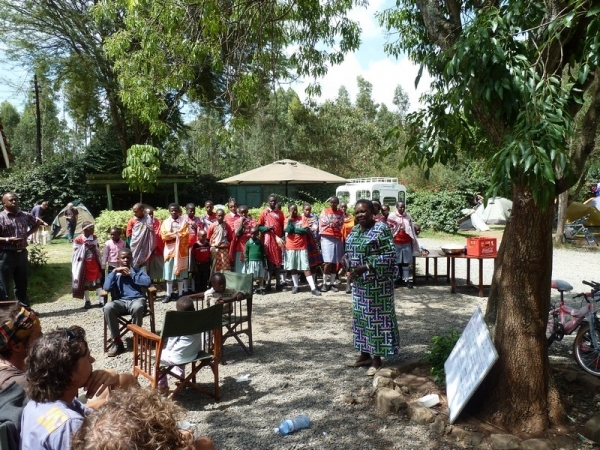 In addition, the Foundation has also sponsored tree planting initiatives in Ethiopia, Kenya and Tanzania, while TDA Global Cycling also provides all the Foundation’s operating costs and labour for free. 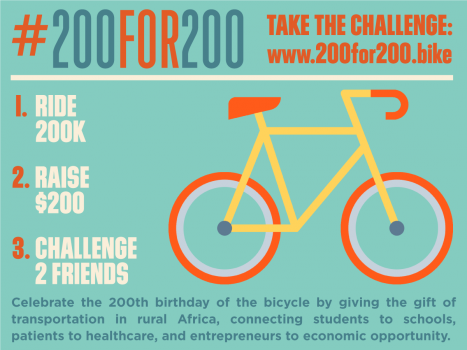 In 2017, the 200th anniversary of the invention of the bicycle, we organized the #200for200 Campaign, which raised almost $11,000, enough to purchase an additional 60 bicycles. This initiative witnessed Henry Gold, TDAs Founder/Director, rediscover his “fountain of youth” when, at age 65, he cycled 200 km in 1 rather long day across southern Ontario. 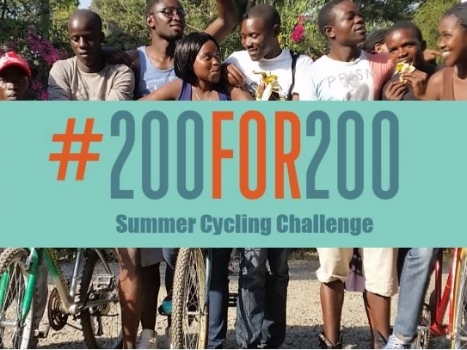 The result, when the #200for200 Campaign is combined with the 1 bike per Tour d’Afrique full rider policy, and ongoing contributions by clients and their friends and families, is that we will be donating more than 120 bikes in 2018 along the TDA and our inaugural West Africa en Velo tour. 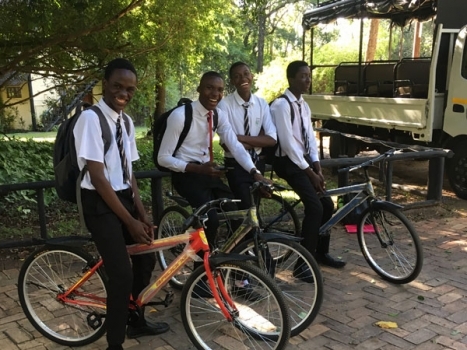 The photos included in this blog are testimony to the positive impact these bikes are having on the day to day lives of the good people of Africa. 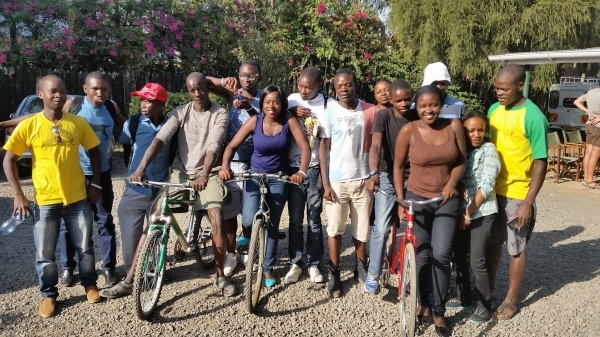 We hope you agree and kindly ask, during this season of giving and receiving, that you consider joining us and our many supporters by contributing to this humanitarian cause and its promotion of the humble bicycle as a most appropriate technology. If you need a little inspiration, try Henry’s thought experiment. Here’s how you can help us make a difference. Please make a donation by Paypal or email us at info@tdaglobalcycling.com to make a donation using another method.